"Jesus" saved the struggling Celtics last night. 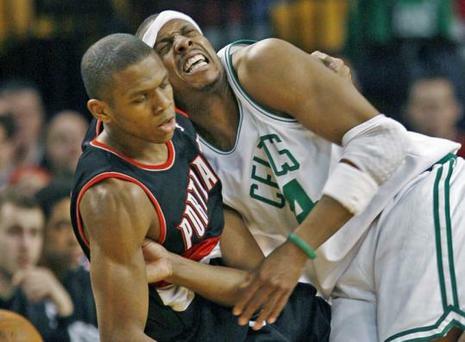 Boston defeated the Portland Trail Blazers, 100-90, at sold-out TD Banknorth Garden and snapped a two-game losing streak thanks to Ray Allen, nicknamed "Jesus" by his teammates because he played the character Jesus Shuttlesworth in the movie "He Got Game." Allen scored 26 of his 35 points - a game high that matched his season high - in the second half. Kevin Garnett added 26 points.